The Thanksgiving notification given to the Office of Information and Regulatory Affairs (OIRA) by US Fish & Wildlife Service (FWS) that there would be another step toward the finalization of the Constrictor Rule in early 2014 has turned the herpetoculture industry on its ear. Confusion is rampant in the community. Accusations have been leveled as to responsibility, and the reptile and pet industry trade associations are scrambling trying to effect damage control. But the situation is not nearly as complicated as some would make it out to be. At stake here is the trade in large constricting snakes that have been slated for addition to the Injurious Wildlife List of the Lacey Act. 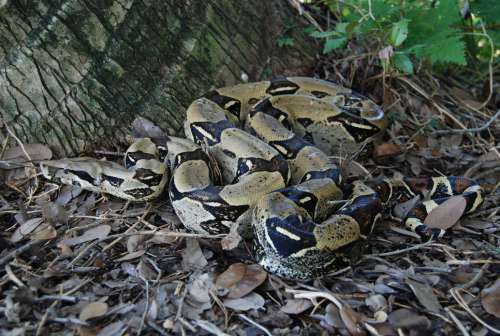 In 2011 FWS proposed a rule to add nine constricting snakes to the Injurious Species List. The trade in these nine species was estimated to be in excess of $100 million annually, potentially making the rule fall into the “major” rule classification which would mandate that the rule making process be rigorous and subject to information quality standards. 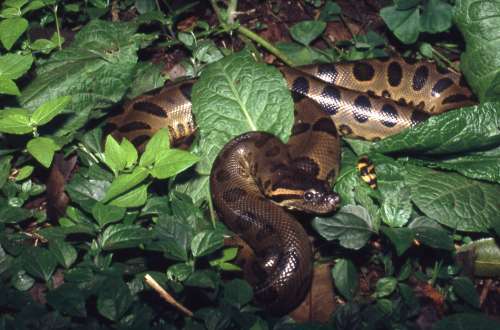 Subsequently, FWS published a partial rule in the Federal Register in January 2012; listing four of the proposed nine snakes on the injurious list, and holding the remaining five out as continuing to be “under consideration.” Since the rule was published USARK, PIJAC and US Herpetoculture Alliance have gone back and forth to Washington DC discussing further finalization of the ‘Constrictor Rule’ in order to remove the onus of the “under consideration” designation from the remaining five snakes that were not listed. The argument was this designation was tantamount to a de-facto listing and was destroying legal trade. Both of these notices are part of the public record. They are not privileged information. They are available to anyone who looks for them. Neither notice is subject to interpretation. They are both the exact language used by FWS. Please follow the links and read them for yourself. The reality is that this is not super secret national security stuff. It is all public record. FWS has sent clear signals that they intend to finalize the ‘Constrictor Rule’ very soon; probably by February 2014. What is also very clear is that, according to their own notice, they will likely add reticulated pythons and the three remaining anacondas to the Injurious Wildlife list of the Lacey Act; while continuing to leave boa constrictors “under consideration” for future listing. The biggest question in our mind is whether FWS will actually stop short of listing boa constrictor. We think that they will not include boa constrictors in this action, but they can do whatever they want, and publish whatever they want. They are NOT restricted by the notices they have made a part of the public record. The Herp Alliance truly hopes that FWS will decide NOT to list any more snakes. We will not know for sure until FWS publishes the final rule in the Federal Register. In 2012 the “rumor” circulating among Washington insiders was that only two snakes would actually get listed in the final rule. As you know four were listed. Today our best guess is that four of the remaining five will get listed; with reticulated pythons being added to the list and boas escaping for the time being. We sincerely hope it will not be all five that get listed. Our endeavor is to make the best information available to the herpetoculture community. We hope this clarifies some of the confusion.